What Information Does a Psychic Need? Why Do Psychics Need My Name? Why Do Psychics Need My Birth Date? In order to deliver an accurate and insightful reading, psychics must be able to connect with clients. People look towards psychics for guidance, advice, and peace-of-mind that few can rival. For many, psychics provide hope for current circumstances, closure for the past, and a peak into the future. To be successful, they must be aware of some basic information about who they are speaking with. Every reading is different, but many psychics will ask for your name and birthday and maybe the names and birthdays of some of your closest relatives and friends. Some may even request your place of birth or city of residence. Others may only ask for your nickname. This is done to establish a strong connection. Psychics also have a sensitive intuition that can read the energy, aura, and presence of whoever they’re speaking with whether in-person, over the phone, or over the internet. For in-person readings, many psychics will ask to hold your hand and/or take synchronized breaths with you before they start your session. They may even ask you to bring a sentimental item from home to share with them. Connections are established online and over the phone primarily by picking up on your confidence, honesty, openness, peacefulness, and other signals. This is all in an effort to get a feel for your emotions. The more signals that can be read, the better the quality of your session. Chaldean Numerology: Chaldean Numerology originated in ancient Babylon and is the oldest form of numerology. In this system, single digits represent a person’s outer personality while double digits represent a person’s inner personality. Under this system, the client supplies the name he or she is most often called. This may or may not be your birth name. This system also considers the day of the month you were born. Western Numerology: Western Numerology, also called Pythagorean Numerology, is easier to learn than the Chaldean system. Under Western Numerology, a person’s name and date of birth are needed. Your name is converted into a number from one to nine and is then analyzed for the reading. Kabbalah Numerology: This system came from Judaism. It is governed by the basic belief that everything in the universe is made up of energy, and this energy is the root of all life and power. It believes that people and their names possess an undeniable energy. To conduct this reading, a psychic will only need your birth name. Hebrew Numerology: Many modern psychics prefer to use this system. This system is based on the fact the Hebrew numbers are written by using letters from the Hebrew alphabet. Some psychics have to convert the Hebrew alphabet to English to conduct the reading properly. Natal Reading: A natal reading is a snapshot of the cosmic universe that is transponded and then interpreted by an astrologer. This reading is designed to give you specific information about your personality traits, talents, opportunities, and challenges. 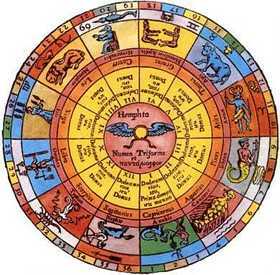 To perform a natal reading, the psychic will need to know your birth date and the exact place and time you were born. Transit Reading: This is a reading that should be performed twice per year. It lets you know about upcoming events that may affect your near future. It is designed to give you time to prepare and make the best decisions regarding life, career, and relationship events. To get an accurate reading, you will need your exact time of birth. Compatibility Reading: The compatibility chart compares your natal chart with the natal chart of your spouse, relative, friend, business partner, or anyone else. It will let you know whether you are attracted to someone and the reasons for the attraction. It does this by analyzing your areas of mutual compatibility and potential areas of disharmony. All participants will need their birth date and exact time and place of birth. Progressed Reading: A Progressed Reading should be done once per year. It looks inside your soul to reveal areas of your life or personality that need improvement. It lets you know what you need to work on or give the most attention. By following this chart, you will be more in synch with the universe. You will need your exact time of birth to complete this reading. Relocation Reading: Are you considering moving? Are you concerned about how a certain city or place will fit you? If so, this is the perfect reading for you. It will show you your compatibility with cities across the world. The only thing you need to know is your exact time of birth. When a psychic asks you for your name, birthday, or other information, it means that he or she is truly gifted and skilled at what they do. This also means that the reader may have experience with several different methods and has the ability to make a strong connection with you. This is important because different techniques reveal different information. What Is a Psychic Palm Reading? What is a Crystal Reading?